Why Choose All Printing Services for Your Next Print Job? We take pride in producing quality work. We’ve been in the printing business since 1987. We sit with our clients and make sure their work is done right. 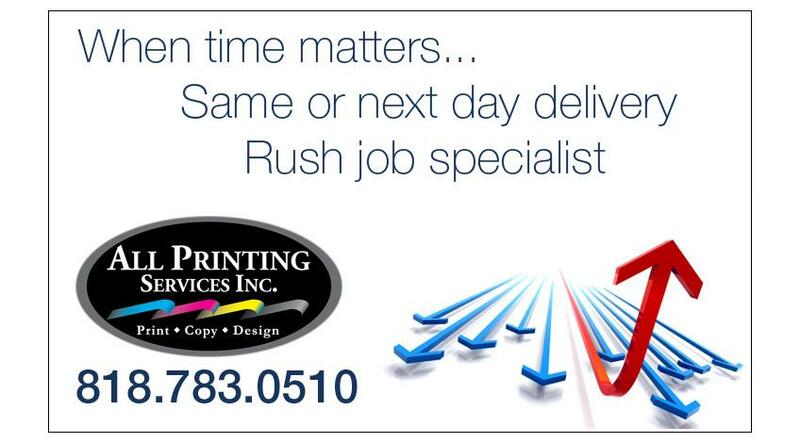 We have Rush Job Specialists standing by to produce your work quickly. We have an established reputation with our community and the Better Business Bureau. We believe that puts us in a category with the best print shops in Encino California and the world. 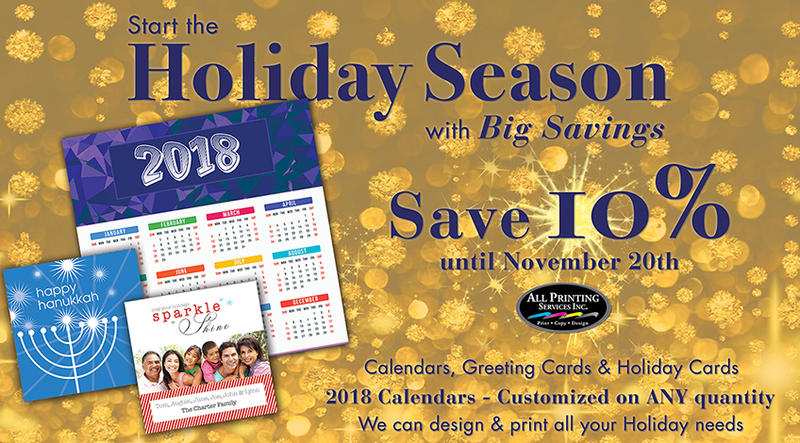 All Printing Services offers some of the most competitive prices in the print business, including, Brochure Printing Service,Post Card Printing, Large Format Printing and even a Web Design Service to help promote your business on the web. Whether you need flyer printing, photo printing, banner printing or to publish your own book, we take pride in giving you the best printing service possible. 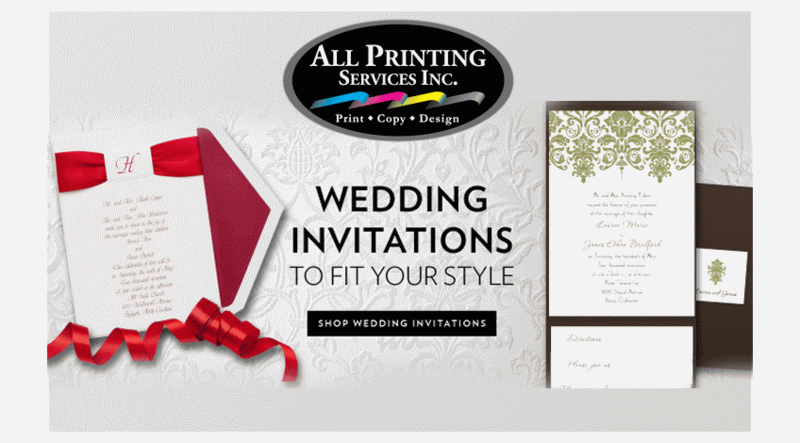 Check out our printing services online or visit us in Encino California at: 15616 Ventura Blvd. ; Monday through Friday, 8:30 am to 6:30 pm, and Saturday, from 10 am to 4 pm. Give us a call for a quote today at: 818.783.0510 or stop by. 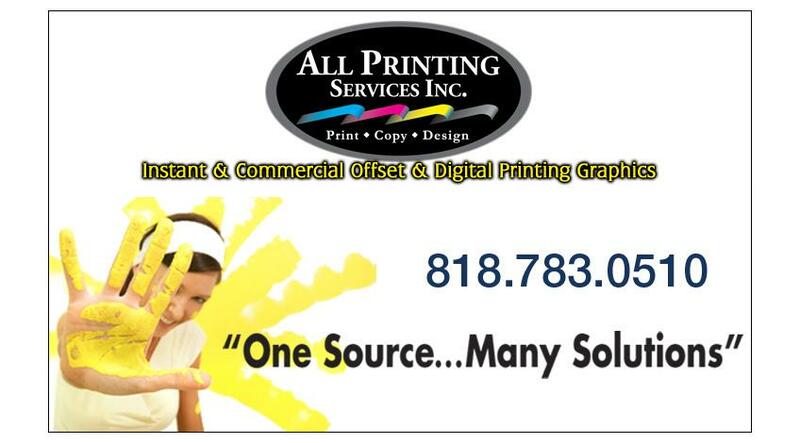 All Printing Services Inc., is a family owned and operated business since 1987. We offer full service commercial, offset and digital printing, copying, large format, graphic & web design all under one roof. 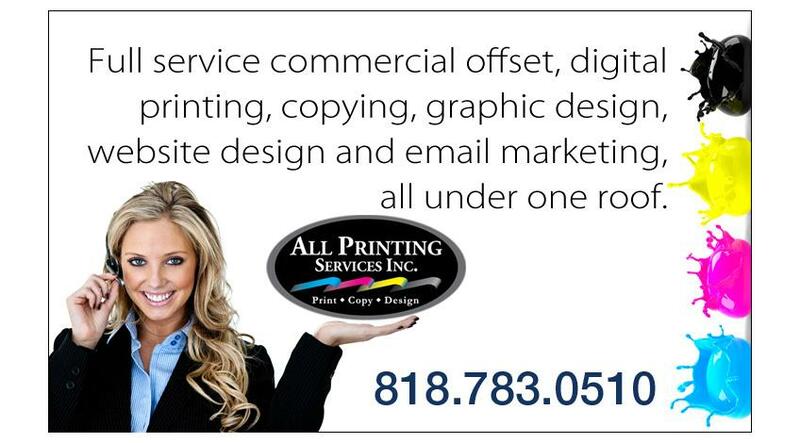 We are a trusted leader with a strong emphasis on affordable printing and same day printing in Los Angeles. They handle jobs of any size with attention to detail, full service and top-of-the-line product, every time. Over the years, I’ve taken Nadia with me to several companies. When I need printing, she’s first on the call list. In the entertainment industry, the need for top quality product and service is a must. 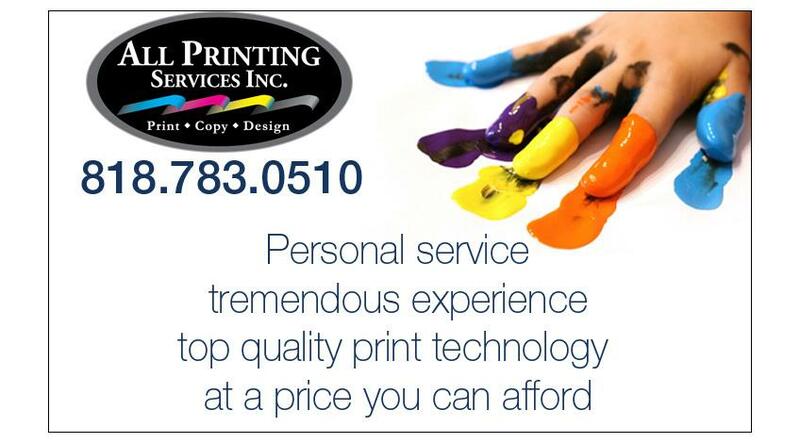 All Printing delivers by employing state-of-the-art technology with the personalization of a family business. Every single person on the team is helpful, courteous, solution oriented and treats you as if you’re their only client. Grateful to have them as our partners and friends. Every once in awhile, you discover a product or service that makes you wonder, 'How did we complete these projects without this?' 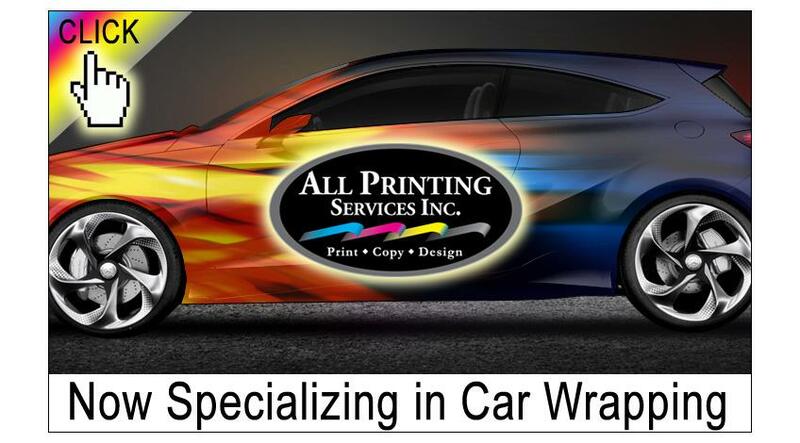 All Printing Services is definitely one of those businesses. Asylum Entertainment is a production company with a wide variety of printing needs--everything from business cards to large presentation boards to huge wall canvases. For years now, we have repeatedly brought challenging jobs-- often on tight deadlines-- and All Printing Services has delivered every single time. Looking Forward To 15+ More Years! 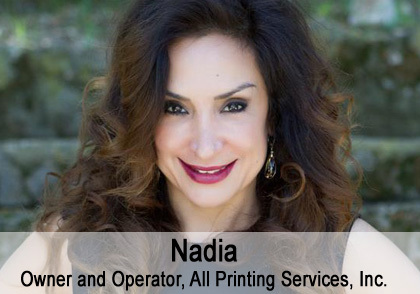 We have had the longtime pleasure of working with Nadia and her team at All Printing for more than 15 years. During that time, we have seen our business grow from about 10 locations in California to over 375 worldwide and EVERY STEP of the way All Printing has been there with us. All Printing is experienced on all types of print production. Nadia is very knowledgeable and her team brings great customer service. They always deliver in a very timely matter, and are always willing to go the extra mile for our projects and deadlines. ...She has often saved us money by suggesting options for high-quality printing solutions at reasonable cost. All Printing gets the job done, and they help you make it look better than you’d initially imagined—on time and budget. I have often joked with my team about dealing with printers "BN". (Before Nadia). I can’t recommend All Printing Services enough. I will be ordering from them again and I highly recommend it. Very impressed. Great customer service. Great pricing. Really appreciated them going the extra mile to re-create a design that I didn't have in the proper format. The turnaround was fast and sooner than expected. This is the best one stop shop for all your printing and graphic design needs! Nadia and her staff are the kindest, most hard working, and considerate people in this business. I've been coming here for years - so happy with every final project. From birthday party invitations to my website design, business cards, graduation invites, etc. All Printing has executed all my requests and needs beautifully and in a very affordable fashion. On a matte 'silk' card it feels and looks amazing. Wow... My new cards are so perty!!! thank you to Nadia, Gaby, and all the staff at All printing for my cards, pamphlets, t-shirts, and PR stuff. What a world of difference quality makes on a first impression. I tried to take a couple pictures from different angles showing the embossed gloss text and logos. If you want professional quality work for your business needs choose All Printing. Nadia is incredible! Sarah the graphic designer is also amazing. I bought business cards, postcards, presentation folders and contracts. Everything came out perfect and the price was the best. All Content © 1987 - 2016 All Printing Services Inc. All Rights Reserved.